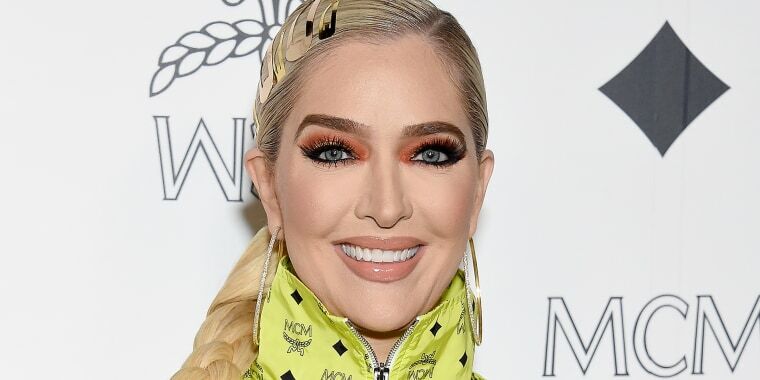 Say what you will about Erika Girardi, aka Erika Jayne from "The Real Housewives of Beverly Hills," but just know this: She'll have something to say right back. That's what one critic on Twitter learned after sharing a makeup-free pic of the reality TV star alongside a snarky caption. Beside the make-under pic of the usually glammed-out Girardi, the person wrote, "The face you have to wear when Papa Tom cuts your allowance due to his lawsuits." For those who haven't followed Girardi's off-screen drama, her husband, Thomas Girardi, and his law firm are currently facing a $15 million lawsuit for allegedly failing to pay a past loan equal to that amount. However, if that personal jab in the tweet was meant to drag the Bravo star down, it certainly didn't have that effect. Instead, Girardi, who's also an actress and singer — and even tried for triple-threat status by getting into the groove on Season 24 of "Dancing With the Stars" — simply responded by taking the high road and celebrating her fresh-faced look. "Actually this is me after a facial with no makeup and no, I'm not ashamed to be 47," she wrote. And, frankly, why would she be? After all, as her fans who replied to the exchange pointed out, she looks fantastic in the pic no matter what any "haters" have to say. Or as one follower in particular captioned the intended insult, "When someone tries to roast you but only shows how hot you truly are."